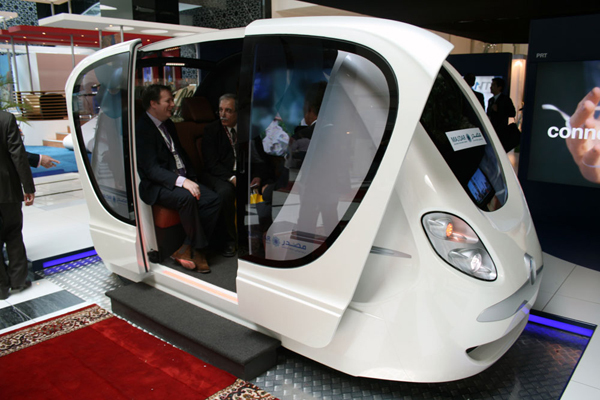 A picture of the first vehicle of the Masdar City personal rapid transit system, unveiled at a conference in Abu Dhabi in the United Arab Emirates. Slideshow: Quentin Bryce, the Governor-General of Australia, emerges from the first vehicle of the Masdar City personal rapid transit system. The vehicle, built by 2getthere, based in the Netherlands, is designed to seat up to six people. Slideshow: A prototype PRT system in Uppsala, Sweden, built by the Korean firm, Vectus, runs on rails. 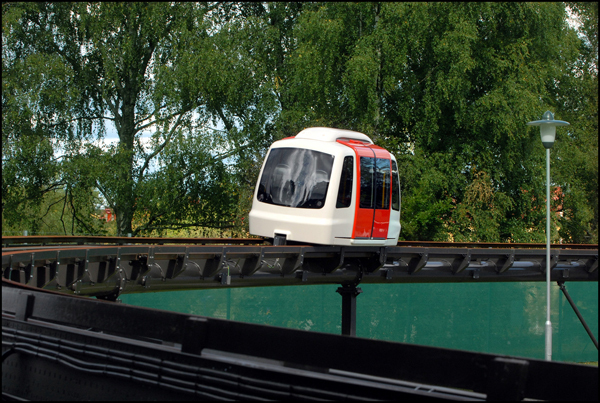 A linear induction motor embedded in the track propels the vehicles. 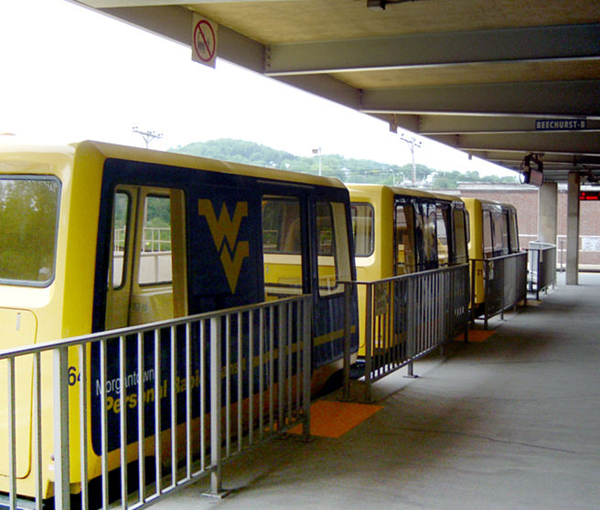 Slideshow: The Morgantown PRT system, built in the 1970s, still carries students today. It is not a “true” PRT, since each car carries up to about 20 people.